This post contains affiliate links. For more info click HERE. Get the Insignia Voice Smart Bluetooth Speaker and Alarm Clock with the Google Assistant built-in $19.99 (Reg. $99.99) + Free Shipping from Best Buy! 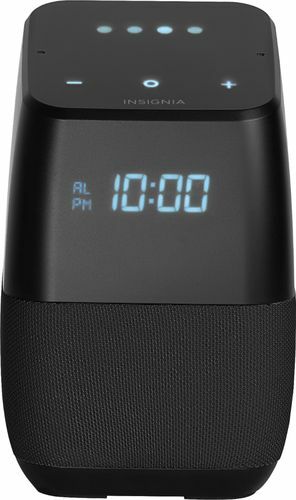 Find your favorite songs with the simple sound of your voice with this Insignia voice-activated wireless speaker. Wi-Fi and Bluetooth connectivity let you pair with compatible devices for more enjoyment, and Google Assistant is included to answer questions or search the internet. This Insignia voice-activated wireless speaker features a compact footprint and brilliant display. Click here to get this great deal or click on the image bellow. Want more online deals? Join our FB GROUP. We post deals daily! Or if you’d like to learn how to coupon and save money join our Couponing FB Group.